As the school year begins, consider reaching out to your local elementary and high schools for partnerships during National Assisted Living Week®, September 7-13. One of the most magical aspects of music is that it spans across the generations. Invite local elementary schools to come and perform for and then visit with your residents. Also consider also inviting some high school jazz bands to come and perform for your residents. Residents will love to listen to and sing along with student choirs and students will learn an incredible amount from this generation. 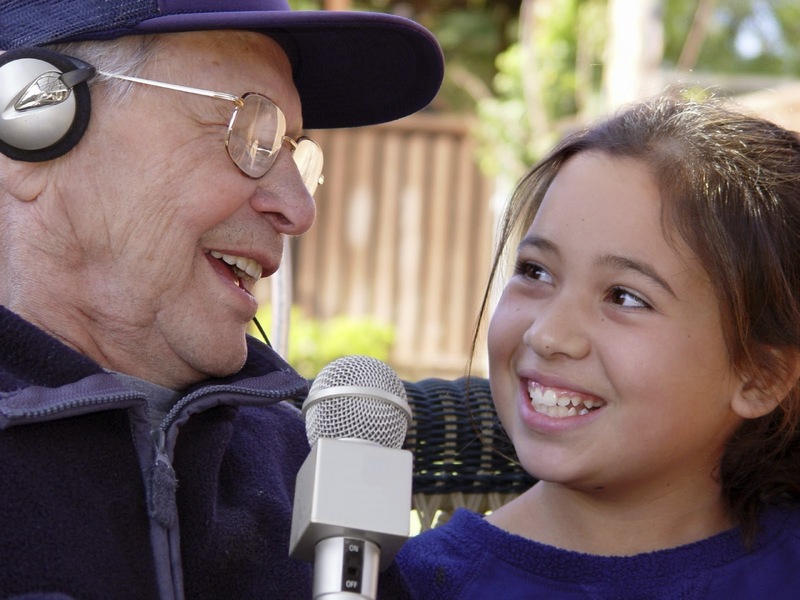 Contact your local school district to see if it is possible to have students come in during National Assisted Living Week® to sing and interact with residents and hone their musical skills. Share your NALW ideas on our Facebook page. Yesterday, the Obama Administration announced that Kevin Counihan, the head of Connecticut’s health insurance marketplace, will be the new CEO of healthcare.gov. This is the website that 36 states use to sell Affordable Care Act (ACA) insurance. The U.S. Department of Health and Human Services Secretary, Sylvia Burwell, tapped Counihan to lead the site. According to the Kaiser Health News article on the announcement, Access Health CT, under Counihan’s leadership, is one of the more successful state-run exchanges. This presentation by The Advisory Board Company highlights ten tactics post-acute providers can use to create meaningful, sustainable care management investments that support the overall Triple Aim goals across an episode of care. The link to register is: https://www1.gotomeeting.com/register/982843480. The US Government Accountability Office (GAO) has released a report, Medicare Program Integrity: Increased Oversight and Guidance Could Improve Effectiveness and Efficiency of Postpayment Claims Reviews, which specifically recommends that the Centers for Medicare & Medicaid Services (CMS) take actions to improve the efficiency and effectiveness of its contractors’ post payment review efforts including providing additional oversight and guidance regarding data, duplicative reviews and contractor correspondence. These are all issues that AHCA staff have discussed with both GAO and CMS in the past. The GAO reports that CMS’ current duplication reduction efforts are insufficient, as the Recovery Audit Data Warehouse, used to track recovery auditor (RA) activities, is not designed to provide information on all possible duplication and the data is not reliable. Communication between CMS and RAs also is flawed and the RA communication sent to providers is unclear and does not always outline the CMS requirements. Lastly, CMS coordination strategies should be improved. Currently, CMS has strategies in place to coordinate contractors activities; however, these strategies have not incorporated plans to increase consistency among the various contractors. To obtain a copy of the full report go to http://gao.gov/products/GAO-14-474. The US Department of Health, Office of Inspector General (OIG) has just released its updated List of Excluded Individuals and Entities (LEIE) database file, which reflects all OIG exclusions and reinstatement actions up to, and including, those taken in July 2014. This new file is meant to replace the updated LEIE database file available for download last month. Individuals and entities that have been reinstated to the federal health care programs are not included in this file. The updated files are posted on OIG’s website at http://www.oig.hhs.gov/exclusions/exclusions_list.asp, and healthcare providers have an “affirmative duty” to check to ensure that excluded individuals are not working in their facilities or face significant fines. Instructional videos explaining how to use the online database and the downloadable files are available at http://oig.hhs.gov/exclusions/download.asp. The US Department of Health and Human Services, Office of Inspector General (OIG) has released a new video that shows how the agency accepts tips and complaints about potential fraud, waste, abuse, and mismanagement in health care programs. Reported information is reviewed by a professional staff member but due to the high volume of information received, OIG is unable to reply to submissions. To see the video go to https://forms.oig.hhs.gov/hotlineoperations/. The US Department of Health and Human Services, Office of Inspector General (OIG) has created a new Medicare Strike Force web page. As reported previously, the Medicare Fraud Strike Force teams conduct data analytics and use the combined resources of federal, state and local law enforcement entities to prevent and combat health care fraud, waste and abuse across the county. First established in March 2007, Strike Force teams currently operate in 9 cities including: Miami FL, Los Angeles CA, Detroit MI, Houston TX, Brooklyn NY, Southern LA, Chicago IL and Dallas TX. The new web page features the latest Medicare Strike Force enforcement actions and can be viewed at http://oig.hhs.gov/fraud/strike-force/. In early August, the US Department of Health and Human Services (HHS) released the long-awaited final rule, Administrative Simplification: Change to the compliance Date for the International Classification of Diseases, 10th Revision (ICD-10-CMS and ICD-10-PCS) Medical Data Code Sets, stating that the compliance date for the health care profession’s transition from ICD-9 to ICD-10 is October 1, 2015. According to CMS, the deadline will allow providers, insurance companies and others in the health care profession time to ramp up their operations to ensure their systems and business processes are ready to go on October 1, 2015. Last May, CMS issued an interim final rule that set the new ICD-10 compliance date for October 1, 2015; however, this new and final HHS rule officially finalizes the compliance date as October 1, 2015. To ensure that providers are ready, CMS has stepped up its ICD-10 education. However, many of these training tools do not apply specifically to long term care providers. To obtain a copy of the CMS resources go to http://cms.gov/Medicare/Coding/ICD10/ProviderResources.html?gclid=CJ2-_sLVrsACFWELMgod8QoAvA or CMS’ Medicare Learning Network at http://www.cms.gov/Outreach-and-Education/Medicare-Learning-Network-MLN/MLNProducts/index.html, and click on MLN Catalogue at the bottom of the page; then search for ICD-10 in that document. AHCA has reached out to CMS but at the current date, the agency has no plans to schedule training specific to long term care providers. AHCA is working with various experts to plan its own training in the future. On Tuesday InsideHealthPolicy reported that the White House Office of Management and Budget (OMB) rejected CMS’ proposed rule on the second round of accountable care organization (ACO) contracts. Many health care analysts and policy makers have been awaiting publication of the new rule as anticipation and uncertainty around the ACO program builds. In 2011 CMS published the first set of rules governing ACOs’ participation in the Medicare Shared Savings Program and CMMI’s Pioneer ACO Demonstration, but that rule only covered ACOs’ first three-year contract period. Meanwhile, many ACOs, including all of the Pioneer ACOs, are approaching the end of their first contract period. A recent survey by the National Association of ACOs showed that as many as two thirds of the current Medicare ACOs said they would likely drop out of the program if CMS didn’t make some drastic changes to existing rules. It is unclear what this means for ACOs in terms of continuing on in the program. It is also unclear which portions of the proposed regulation OMB asked CMS to redo or when the updated proposed rule should be expected. AHCA will continue to follow developments in this story closely and provide updates as information becomes available. In the meantime, AHCA members are encouraged to review the ACO Contracting Guide, released to members last year, which contains a wealth of information and analysis of the current Medicare Shared Savings rules and a robust discussion around SNF-ACO contracting. To obtain a copy of the complete report, go to https://oig.hhs.gov/oei/reports/oei-07-13-00010.pdf. Each year thousands of people in the United States die from flu and many more are hospitalized. Flu vaccine is the best protection against flu and its complications. Flu vaccine also helps prevent spreading flu from person to person. The 2014-2015 Influenza Vaccine Information Statements are now available on the CDC website. Access the Live Intranasal Influenza Vaccine Information Statement at: http://www.cdc.gov/vaccines/hcp/vis/vis-statements/flulive.html. Access the Inactivated Influenza Vaccine Information Statement at: http://www.cdc.gov/vaccines/hcp/vis/vis-statements/flu.html. CMS recently resolved an issue concerning the Common Working File (CWF) qualifying stay edit C7123 to allow Skilled Nursing Facility (SNF) and Swing Bed (SB) claims that contain a valid qualifying hospital stay to bypass edit C7123. SNF and SB providers that have received this edit in error may adjust their affected claims or contact their Medicare Administrative Contractor (MAC) in order to have their claims adjusted. CMS is currently working on a permanent coding fix for CWF edit C7123 that will address all possible bypass scenarios for the edit. SNF and SB providers should contact their MAC with any questions or concerns. On September 30, 2014, at 2 PM Eastern, AHCA will be hosting a webinar on using dashboards. Using dashboard to monitor metrics is a way for nonprofit organizations to monitor what is working or not working. Efficiency helps the organization to best utilize available funds. Also many organizations are being requested to provide outcomes to support its mission. You can register for the webinar here. Webinar speaker, Jeanette Bax-Kurtz, is the Director of Not-for-Profit and Regulatory Services for Mueller Prost PC and coordinates the firm’s delivery of audit, tax and advisory services to tax exempt and other organizations, including not-for-profit, real estate, construction and healthcare industries. Her knowledge base has been the source of assistance for many directors, trustees, government agencies, owners and legal consultants in solving challenges facing a dynamic environment. Mueller Prost PC is a team of CPAs and business advisors headquartered in St. Louis that is Advising with Vision® to help clients grow and prosper. The firm offers a full range of professional tax, audit, accounting and management advisory services to high-net-worth individuals, entrepreneurs, closely-held businesses, as well as to non-profit organizations and public companies. For more details, visit www.muellerprost.com. 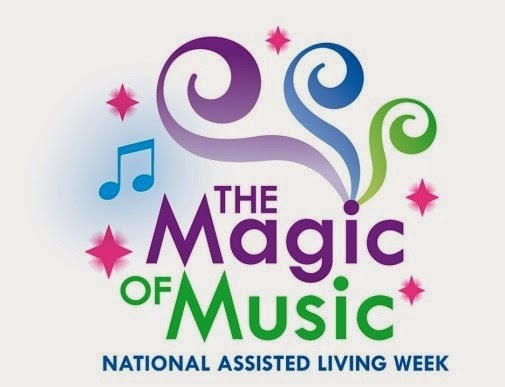 This year’s National Assisted Living Week® celebrates the "Magic of Music." Everyone loves to hear live music, especially if it is performed by their favorite star. 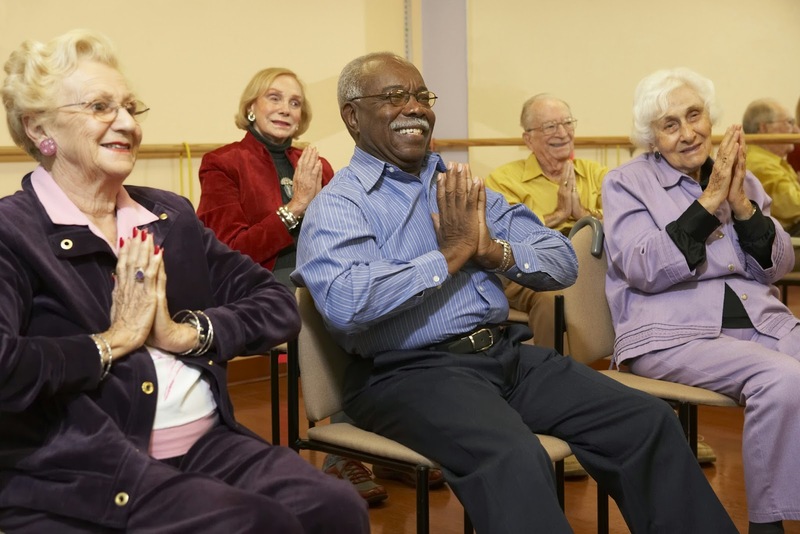 While many of your residents can no longer attend concerts, there is no reason to not bring a concert to them! 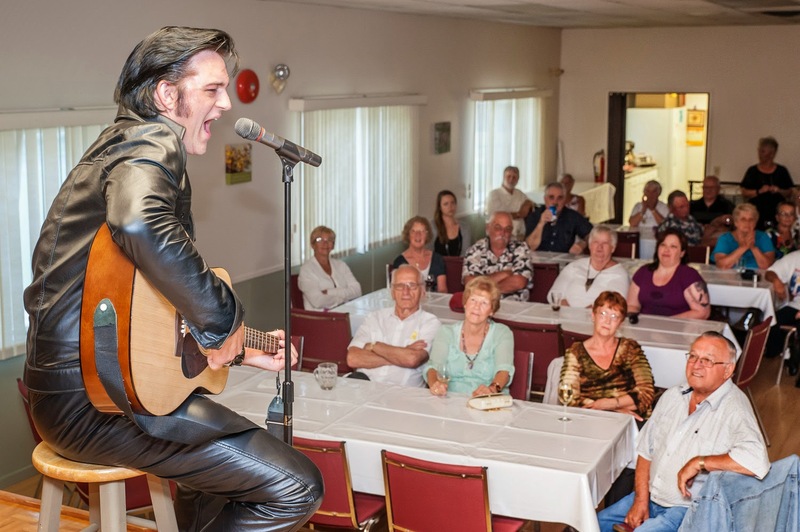 National Assisted Living Week®, coming up September 7-13, is the perfect time to bring in a local band, singer or even better, a celebrity impersonator! You can stage a full concert to welcome Elvis, the Rat Pack, Glen Miller and others during a “One Night Only” event! Invite prospective residents and family members and have a rockin' good time! Share your NALW activity ideas on Facebook! The newest version of the Guide includes content regarding physical therapy patient management, measurement and outcomes, examination and evaluation, and interventions. The new online version also incorporates links to tests and measures specific to individual patient needs, evidence to support interventions, and information to help with Medicare’s functional reporting requirements. The online Guide is available for free to the public until September 30. After that, it will be free to APTA members and available to nonmembers via an annual subscription. The software supporting the Guide requires no installation, and updates will not have to be downloaded to individual users' computers. 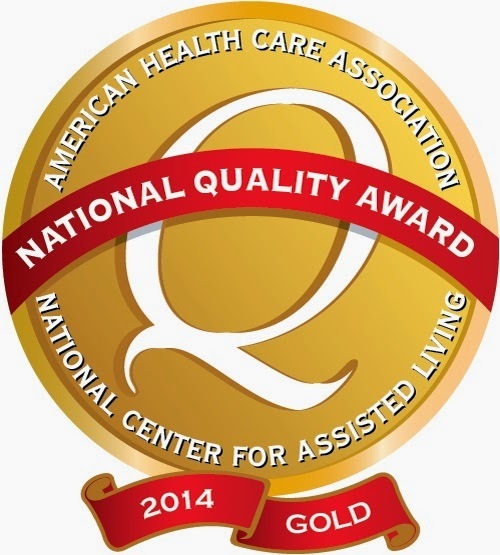 On Monday, the American Health Care Association and National Center for Assisted Living (AHCA/NCAL) announced the six care centers that have earned a 2014 Gold – Excellence in Quality Award. The award is the final of three distinct awards possible through the National Quality Award Program presented by AHCA/NCAL. The competitive award program recognizes centers across the nation that meet rigorous standards and serve as models of excellence in providing high-quality long term care. Click here for the names of the six 2014 Gold – Excellence in Quality Award recipients. The Gold – Excellence in Quality Award is the most prestigious of the program. It requires care centers to previously achieve both the Bronze – Commitment to Quality and Silver – Achievement in Quality awards and adheres to the rigorous criteria outlined in the Baldrige Performance Excellence Program. The Gold Award is designed to elicit best practices from recipients in the areas of leadership, strategic planning, customer focus, process management and results. Since the inception of the National Quality Award Program in 1996, only 24 care centers have achieved this level of quality recognition. AHCA/NCAL previously announced the Bronze – Commitment to Quality and the Silver – Achievement in Quality recipients in May and June of this year. The recipient centers will be honored during the AHCA/NCAL’s 65th Annual Convention and Exposition, October 5-8, 2014, in Washington, D.C.
Person-centered care promotes choice, purpose and meaning in daily life. Person-centered care means that nursing home residents are supported in achieving the level of physical, mental and psychosocial well-being that is individually practicable. The Advancing Excellence (AE) person-centered goal honors the importance of keeping the person at the center of the care planning and decision-making process. Care plans are living documents that are revised to reflect a person’s changing needs. Through person-centered care, staff places a premium on active listening and observing, so staff can adapt to each resident’s changing needs regardless of cognitive abilities. The AE website offers a person centered care tracking tool. The tool can be found at: https://www.nhqualitycampaign.org/goalDetail.aspx?g=PCC#tab2 . The person centered care tracking tool can be utilized to log results from residents' Preference Satisfaction Interviews and record how their subsequent care plans address those preferences. The tool creates graphic displays indicating opportunities to fulfill residents' preferences, evaluate community trends, and calculates an overall Preference Congruence Quality Indicator and the percent of care plan meetings with key participants. Register now and join us in our home town of Washington, D.C. at the beautiful Gaylord National Resort & Convention Center. The Advance Registration deadline is September 9. 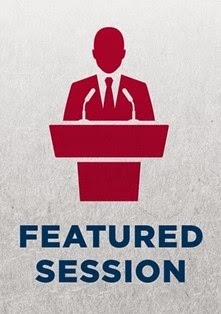 Learn more about the specific sessions available, and see all the different tracks of learning. There are also tracks on Advocacy, Assisted Living, Data Management, Leadership, Quality Award, and Risk Management just to name a few. You are sure to get your questions answered and go home with a bevy of new ideas. Work Up a Sweat to Your Favorite Songs During NALW! 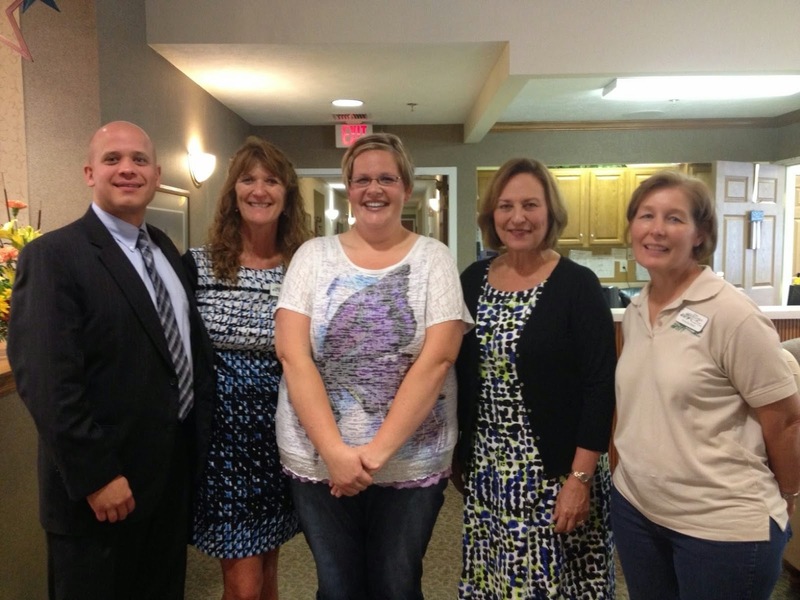 The 2014 National Assisted Living Week® is only one month away! Start planning now all the exciting and invigorating activities you will have in your community the week of September 7-13, 2014. One great way to incorporate this year’s theme “The Magic of Music” into your traditional activities is to plan to sweat to the oldies! Research shows the importance of physical exercise and your community most likely already has several cardiovascular activities throughout the week. Start downloading some energizing oldies that you can play during chair yoga, Thai Chi or other exciting workouts. You can even ask your residents some favorite songs or take a look at which songs you already play cause people to pump a little bit harder. Playing upbeat and fast-passed music during workouts can be a great motivator for residents and team members alike! If you need some ideas on possible songs, check out our #MusicMondays on Facebook! Last week, AHCA urged top Senate leaders to take a closer look at managed care plans and develop better methods for collecting and releasing claims information. The letter, sent to Chairman Ron Wyden (D-OR) and Ranking Member Chuck Grassley (R-IA) of the Senate Finance Committee details four suggestions on which both CMS and Congress can act to improving managed care plans. Medicare Advantage plans and Medicaid managed care organizations are growing at a rapid pace, but various regulations make it more difficult to look at cost and quality relative to their traditional, fee-for-service counterparts. In some instances, there is nearly a two-year delay in the release of important quality statistics, which it makes it nearly impossible for providers to see how improvement methods have worked. AHCA urged CMS to release managed care data in public use files, require that claims data and Minimum Data Set data is released in a timelier manner, and lower the price point for claims data to make it more widely available. Additionally, AHCA advised the committee members to begin work on legislation that would incentivize implementation of health information technology for post-acute care providers, a step that has already been taken for hospitals and physician groups. The AHCA/NCAL Convention & Expo is right around the corner! We are looking forward to hosting you near our home city in October if you are able to attend. We have many exciting things planned for you during convention and want to make sure you have every opportunity to take advantage of all that is offered. On Tuesday, October 7, Living the Mission: A Day for Not for Profit Providers takes place. This event offers excellent speakers, multiple education sessions designed just for you (including speakers from the Centers for Medicare and Medicaid Services and U.S. Dept. of Veterans Affairs), time to network with your peers, and the chance to earn 6 additional CEUs. This event is included if you registered for the AHCA/NCAL Convention & Expo for the full/premium registration package. However, in order to help us plan for the two included meals and reception event – and best serve your needs at this special constituency education program, please make sure you have registered for Living the Mission. To do so, sign in again and check the box that says you will attend this event. · More specifically, you can login into your convention registration account with your email address and registration confirmation number. Once you are in, simply check the box that says "yes" that you will be attending and save your registration. · If you just plan to attend NFP Day, and not the rest of Convention – simply check the NFP Day only box. If you have already registered for Living the Mission, thank you. Looking forward to seeing you at Convention! If you have any questions, please contact AHCA’s Senior Director of Not for Profit & Constituent Services, Dana Halvorson. During the August 5, 2014 SNF/Long-term Care Open Door Forum, CMS officials addressed the Change of Therapy Other Medicare Required Assessment (COT OMRA) change associated with the FY 2015 SNF PPS Final Rule. COT OMRAs that are completed under this new policy should be treated like any other unscheduled assessment, said officials. “All of the rules that would apply to that unscheduled assessment, whether they be rules of combination, rules associated with early and late penalties, etc., all of those should be considered to apply.” In addition, this revision “does not have any impact on the other OMRAs within the SNF PPS. The rules and policies associated with all other assessment types remain the same,” according to the final rule. CMS officials announced the next update to the RAI User’s Manual for the MDS 3.0 “is on track” for release “on or about” September 5, 2014. The revision will be posted at the agency’s official RAI Manual page. Providers should expect to see more details about the revised COT OMRA policy in this manual update. The August Congressional recess is in full swing, which means though things are quiet in D.C., AHCA/NCAL members are at the center of the action. While Members of Congress are back in their home states, it is a critical time for them to see what our profession is all about. Many AHCA/NCAL members who have visited Washington earlier this year have been able to invite their Member of Congress back to their community and continue the conversation. Mikayla Armitage (above) of The Willows Assisted Living center visited her Senator, Deb Fischer (R-NE) while visiting D.C. for AHCA/NCAL’s Congressional Briefing. Mikayla stayed in touch with Sen. Fischer’s office and when the Senator was back in Nebraska, she paid The Willows a visit. You can read Mikayla’s great Congressional Briefing story here. If you would like to schedule a tour while Congress is back in their districts, have already shown a Member around, or are in the process of coordinating a visit, we’d love to hear about it. Please contact Matt Smyth (msmyth@ahca.org), Michael Cowden (mcowden@ahca.org), or Drew Thies (dthies@ahca.org) with any information or questions. We’d love to hear from you! As you may have heard, there have been changes within the QIO community involving Beneficiary Protection. AHCA recently identified the two organizations that will hold the Beneficiary Protection contract for each region-Livanta and KePro. Under the former system, each QIO had a division that investigated beneficiary complaints. With the new scope of work (SoW) the beneficiary protection work was taken out of the local QIO and given to Livanta and KePro to administer for the entire nation. This began on August 1 when the new contract was executed. This important function ensures the safety of beneficiaries, provides an appeal process regarding one's care, and is a key element in our national dialogue around transitions of care. If you are not aware of how this system works here is an example: if my 89 year old Mom is in the hospital and the hospital wants to discharge her and my family feels and has reason to believe that she is in no condition to move or transfer, we can appeal that decision. Mom gets to stay at the hospital until the matter is investigated and a decision is reached. This formerly local process is now being administered nationally by the two companies. 2. Make any issues known to your local State Survey Agency and Ombudsman. This will help to bring the problem to light on many fronts to ensure it is resolved soon. 3. The local QIO, who many people counted on, no longer is doing the Beneficiary Protection work so they are unable to assist. AHCA, in the meantime, is working hard to obtain more information and is working with partners to resolve this issue. Safety and quality care are a critical concern to us. Cambridge Realty Capital Companies will present a webinar discussing the advantages and disadvantages of HUD financing versus conventional financing for a long term care facility. Participants will receive information, tips, and guidance to better understand the differences between HUD and conventional financing, and how to obtain the best outcome in your next refinance. You will have an opportunity to get your questions answered. 1. Understand pros and cons of HUD financing versus conventional financing. 2. Provide specific guidance to better understand your lender and work through the borrowing process, specifically; we will share “tips” to make you a better borrower. 3. Receive tips from Cambridge Realty Capitol Companies to get the best outcome in your refinance. If you’re already collecting satisfaction data, then you’re on the right track. But do you know what to do with that wealth of information once you’ve received your survey results? Join My InnerView by National Research Corporation to discover how to use your data as a powerful ally to achieve quality initiative goals, improve performance, and gain even more referral partners. 1. Find out how to most effectively survey and ask the right people, the right questions, at the right time. 2. Once you’ve collected the right data, discover how to set realistic improvement goals in the most impactful areas. 3. Learn how to use your data to get the attention of hospitals and health systems and drive more referrals. The Centers for Disease Control and Prevention (CDC) continues to work closely with the World Health Organization (WHO) and other partners to better understand and manage the public health risks posed by Ebola Virus Disease (EVD). To date, no cases have been reported in the United States. The purpose of this health update from the CDC is 1) to provide updated guidance to healthcare providers and state and local health departments regarding who should be suspected of having EVD, 2) to clarify which specimens should be obtained and how to submit for diagnostic testing, and 3) to provide hospital infection control guidelines. U.S. hospitals can safely manage a patient with EVD by following recommended isolation and infection control procedures. To read the CDC Health Advisory: http://emergency.cdc.gov/han/han00364.asp . U.S. Health and Human Services (HHS) Secretary Sylvia Burwell recently announced her appointment of Jackie Cornell-Bechelli as Region II Director of HHS. This area consists of New York, New Jersey, Puerto Rico, and the U.S. Virgin Islands. As a regional director, Cornell-Bechelli will serve as a key representative of Secretary Burwell in working with federal, state, territorial, local, and tribal officials on health and social service issues, including implementation of the Affordable Care Act. More information about this announcement can be found on HHS.gov. The IRS recently released draft forms to be used by large employers to report information regarding health care coverage and minimum essential coverage as required under the health reform law. The Affordable Care Act (ACA) draft reporting forms include the Transmittal of Employer-Provided Health Insurance (draft form 1094C) and Employer-Provided Health Insurance Offer and Coverage (draft form 1095C). You can submit comments about draft or final forms, instructions, or publications on the Comment on Tax Forms and Publications page on IRS.gov. The Centers for Medicare and Medicaid Services (CMS) has published a document of Frequently Asked Questions (FAQs) regarding the intersection of Medicare and the Health Insurance Marketplace. Topics include general enrollment, End Stage Renal Disease (ERSD), and coordination of benefits. The FAQs can be found here. The document will be updated every so often as additional FAQs are addressed. AHCA is applauding a bipartisan effort by over 100 House Democrats and Republicans, led by Representatives Tulsi Gabbard (D-HI) and Jackie Walorski (R-IN), to expand veterans’ access to health care services, including long term and post-acute care. Last Friday, one-hundred and nine (109) House members sent a letter to the Department of Veterans Affairs (VA) urging the Agency to release the Provider Agreement rule, RIN 2900-AO15, which increases the opportunity for veterans to obtain non-VA- extended care services from local providers that furnish vital and often life-sustaining medical services. Services covered as extended care under the proposed rule include: nursing center care, geriatric evaluation, domiciliary services, adult day health care, respite care, palliative care, hospice care, and home health care when they are “non-institutional alternatives to nursing home care.” This effort comes after 43 members of the Senate recently sent a similar bipartisan letter to the VA to urge release of the rule. AHCA commented in support of the proposed rule when it was released in 2013, and collaborated with the VA for years on it. The Advancing Excellence (AE) hospitalization tracking tools allow you to document your work, monitor outcomes and processes related to those outcomes. Data-driven quality improvement projects require ongoing data collection and analysis. It is important to start collecting data to establish a solid baseline and set a target for improvement. Keep your workbook up-to-date on a daily or weekly basis and look at data often to support a rapid cycle quality improvement project. This website https://www.nhqualitycampaign.org/goalDetail.aspx?g=hosp#tab2 allows you to download the data tracking tool. The 2014 National Assisted Living Week® is only one month away! Start planning now all the exciting and invigorating activities you will have in your community that week. One great way to incorporate this year’s theme “The Magic of Music” into your traditional activities is to plan to sweat to the oldies! Research shows the importance of physical exercise and your community most likely already has several cardiovascular activities throughout the week. Start downloading some energizing oldies that you can play during chair yoga, Thai Chi or other exciting workouts. You can even ask your residents some favorite songs or take a look at which songs you already play cause people to pump a little bit harder. Members of Congress have officially left Washington for the annual August recess, but that doesn’t mean that AHCA/NCAL advocacy efforts stop. The August work period is a perfect time to invite your Members of Congress to come see what you do and love. Every recess period, AHCA/NCAL members coordinate dozens of tours in both skilled nursing and assisted living communities. There is no better way to show policymakers in Washington just how much you care about your work and how much it matters than them seeing it first-hand. This year is an election year, which means district outreach is on every politician’s mind. House members and Senators will be back in their home districts and states for all of August and the majority of September and October as well. It is the perfect time to contact your Washington representatives and invite them to meet their constituents and learn about the pressing long term care issues that are affecting their local communities. AHCA/NCAL is making a big push this year to show Congress exactly how much our work matters. Instead of dozens of Members of Congress seeing first-hand the care you provide, we want hundreds—but we need your help. If you would like to schedule a tour while Congress is back in their districts, have already shown a Member around, or are in the process of coordinating a visit, we’d love to hear about it. Please contact Matt Smyth (msmyth@ahca.org), Michael Cowden (mcowden@ahca.org), or Drew Thies (dthies@ahca.org) with any information or questions. On July 31, 2014, the Centers for Medicare & Medicaid Services (CMS) issued a final rule outlining Fiscal Year (FY) 2015 Medicare payment rates for skilled nursing facilities (SNFs). The FY 2015 SNF PPS final wage index file can also be found on CMS' website. On July 31, 2014, President Obama signed the Fair Pay and Safe Workplaces Executive Order. This Executive Order will require prospective federal contractors to disclose labor law violations and will give federal agencies more guidance on how to consider labor violations when awarding federal contracts. The Executive Order only applies to new federal procurement contracts valued at more than $500,000. The Executive Order also prohibits certain federal contractors (e.g., federal contracts and subcontracts of $1 million or more) from entering into pre-dispute arbitration agreements with employees for employee claims involving civil rights and issues arising out of sexual assault or harassment. The Executive Order is expected to be implemented on new contracts in stages, on a prioritized basis, during 2016, according to a fact sheet from the White House’s Office of the Press Secretary. It is important to note that this Executive Order does not apply to or impact Medicare or Medicaid providers as it is long-standing policy that these providers are not considered to be federal contractors. These provider agreements are not issued by solicitations for contracts as set forth in the Federal Acquisition Regulations. There's also video of the President’s speech at the signing event. If you have any questions, please contact AHCA’s Dianne De La Mare and Dana Halvorson. In about two months, thousands of long term and post-acute care professionals along with national speakers, professional and peer educators, leaders and exhibitors from across the country will convene at the Gaylord Resort & Convention Center, just outside Washington, D.C., for the AHCA/NCAL 65th Annual Convention & Expo. If you haven't registered yet, advance registration continues through September 9. After this date, on-site registration and rates apply. For complete information regarding the AHCA/NCAL 65th Annual Convention & Expo, visit our official website. Don’t delay, register today! Last week, the U.S. Senate Special Committee on Aging held a hearing entitled, Admitted or Not? The Impact of Medicare Observation Status on Seniors. Committee Chairman Bill Nelson (D-FL) and Ranking Member Susan Collins (R-ME) led the afternoon hearing held on Wednesday, July 30, focused on the observation stays issue. Click here to watch the full hearing, and to view the witness list. 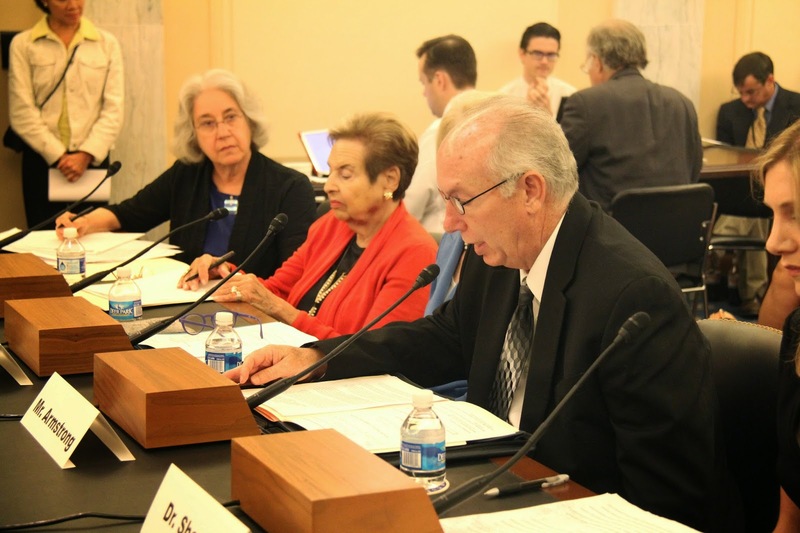 AHCA/NCAL member, Bob Armstrong, Vice President of Elder Care Services at St. Mary's Health System (pictured), testified in front of the U.S. Senate Aging Committee about the impact the observation stays issue has on both the beneficiaries and the providers who care for the individuals. 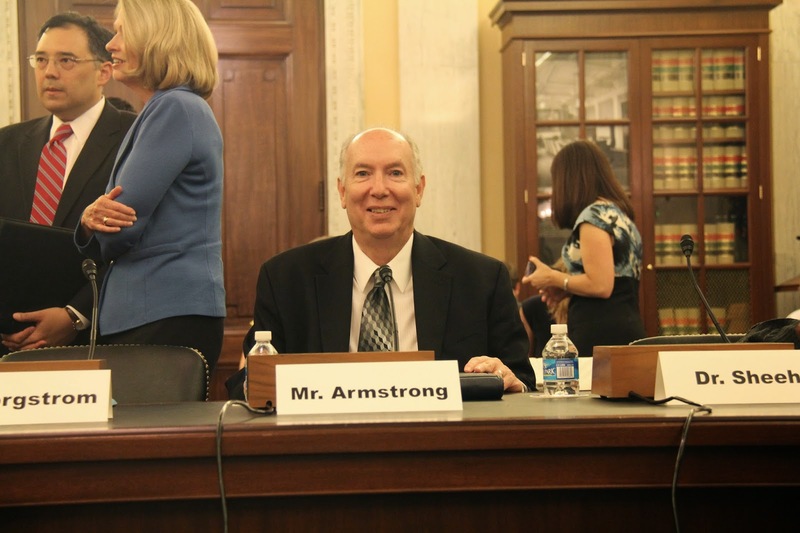 Mr. Armstrong’s full testimony can be found here. Hospital stays classified as observation, no matter how long and no matter the type or number of services provided, are considered outpatient. These hospital stays do not qualify patients for Medicare-covered care in a skilled nursing center. Now through September 30th, NCAL is accepting photo submissions for its 'Faces of Assisted Living.' Honor the individuals residing in assisted living communities by sharing those everyday moments or special occasions. Submitted photos with completed image release forms may be featured in NCAL’s Faces of Assisted Living online album, on AHCA/NCAL social media channels and in future publications. 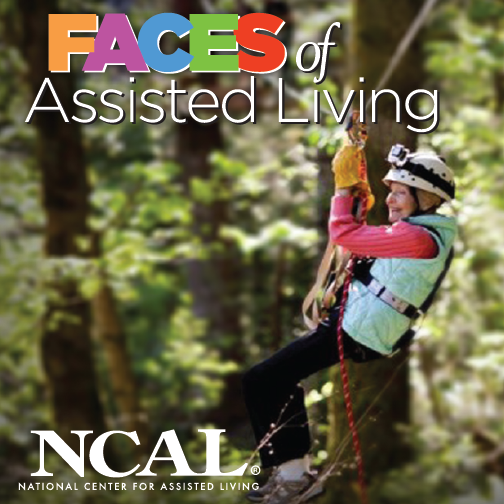 NCAL started Faces of Assisted Living to feature actual residents from assisted living communities across the country. These photos are meant to celebrate what assisted living is about - providing care and services that respect resident choice, dignity, and independence in a home-like setting. Learn how to submit your photo(s) and check out adorable photos from previous years at www.ahcancal.org/faces. CHAT stands for Communicating Health Assessments by Telephone. It is a quality improvement program to enhance telephone communication between the nurse and the physician. Each CHAT is designed to identify pertinent information that needs to be assessed and communicated for the specific clinical issue. The tools focus on the questions needing to be answered and the examinations needing to be conducted before calling the physician. 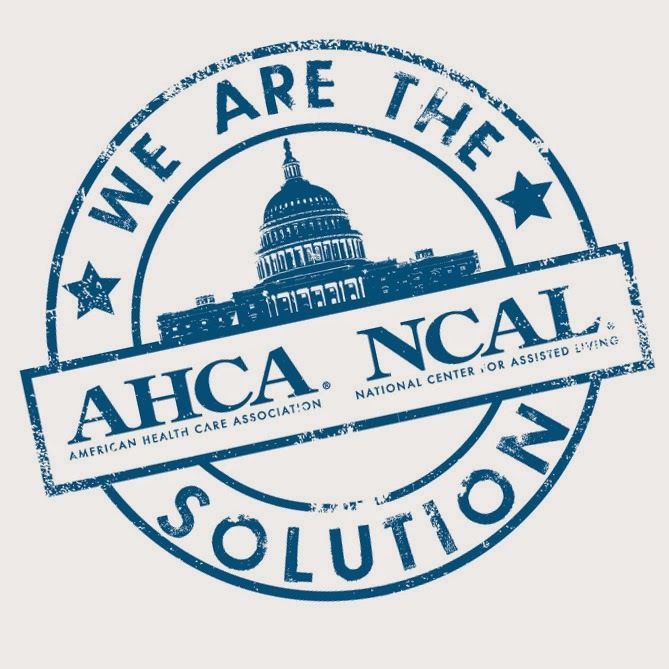 visit the AHCA/NCAL website. Learn how to use CHATs, and access each CHAT by medical condition. The Transitions of Care in the Long-Term Care Continuum guide from American Medical Directors Association (AMDA) focuses on transitions of care which may occur within care settings, between care settings, across health states and between providers. This Clinical Practice Guideline is a useful resource that contains seven steps for implementation of a care transition program. Also included in this guide are sample policy and procedure for care transition, suggested common or essential elements for medication reconciliation, hospitalist checklist for an ideal discharge of the elderly patient and quality indicators for transitions between nursing facilities and emergency departments. Transitions of care are common and it is critical to ensure appropriate measures are in place to support quality of care and quality of life for the individuals experiencing the transitions.